Entrepreneur, block chain expert, permaculture design expert, currency design consultant, speaker, artist, and humanitarian. chief architect of the Euro’s convergence and exchange mechanisms, Bernard Lietaer alongside other luminaries of the currency and blockchain world. 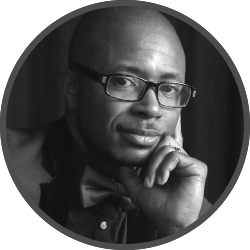 Educationalist, entrepreneur, and humanist, William worked alongside Xavier during the formation of Permacredits and Hermes Global Partners sharing Xavier’s passion and helping to shape the vision of the Phireon Corporation. After reading an English MA at the University of Aberdeen, William has had an extensive career in Education and Educational Management in the UK and abroad that includes national oil companies, banks and various governmental and non-governmental organisations. His interest in education and the future applications of technology prompted him into founding one of the earliest virtual language schools in 2011. 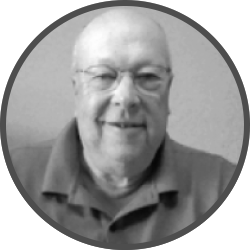 His expertise progressed into international educational projects with NGOs through his involvement with Carfax Education, which led to an interest in human systems and the role future technology will play in defining the human story. William supports several charitable organisations, most notably The Friends of Hilary Storm, a sustainability cooperative in Uganda. Erik is an entrepreneur, strategic management consultant, logistics consultant and investment adviser representative. After finishing his degree in Philosophy at the University of Freiburg, Germany, Erik operated within the consultancy sector in Shanghai prompting him to found the strategic management and sourcing firm as well as Cast Steel Solutions in 2012, before moving into investment consultancy and portfolio management in 2016. 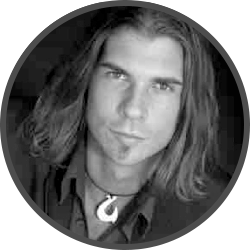 Nate Wolfe is a seasoned design professional with a diverse background in visual media and company branding. He is the founder and Creative Director of Goodbit, a creative R&D agency established in 2014 to build experimental products in the blockchain space. He holds a number of patents, designed proof-of-concepts for Ethereum during its pre-launch testnet period, and has produced several successful apps on web and mobile. 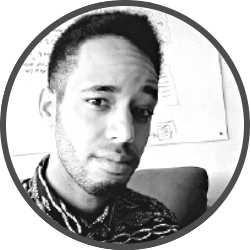 Prior to his work in the blockchain space, his vision and eye for detail has been in constant demand for nearly a decade by top name clients, and his expertise in designing, developing and leading our creative team in the production of the Phireon brand, website, mobile app and supplementary material is demonstrative of the quality of his work. Nate oversees the Phireon brand vision, and will head up the company’s creative department after launch. 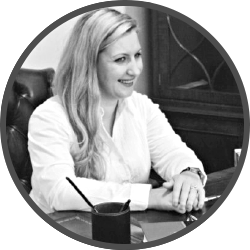 Anfisa has built extensive project management career in Oil & Gas, IT, Finance and Educational projects internationally. Her wealth of operations and finance experience, combined with proficient project management techniques are offered to ensure Phireon’s ICO is well executed. Looking forward, Anfisa will oversee Phireon’s portfolio of investment projects along with other members of the Board. Currently Anfisa is also a candidate in the MSc Major Programme Management programme at the University of Oxford Said Business School. 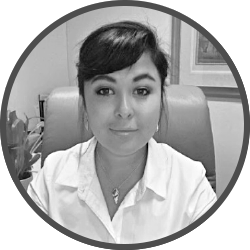 Experienced corporate para-legal and compliance specialist, Gelyana is leading Phireon’s efforts in risk management, compliance and governance. In the future she will continue overseeing the legal formation, contracts and legal risks mitigation. Gelyana has an LLP Bachelor of Law with Honours, Oxford Brookes University. Civil engineer, economist, author and professor, Bernard studies and has written the definitive book on monetary systems and promotes the idea that communities can benefit from creating their own local or complementary currency, which circulate parallel with national currencies. 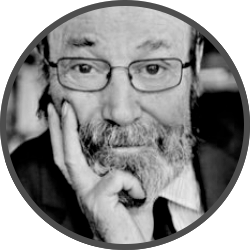 Bernard Lietaer, the author of The Future of Money: Beyond Greed and Scarcity and New Money for a New World, has been active in the realm of money systems for close to 40 years in a wide variety of functions. With the publication of his post-graduate thesis at MIT in 1971 (which included a description of “floating exchanges”) and the Nixon Shock of that same year which eradicated the Bretton Woods system by unhinging the US dollar value from its gold standard and inaugurated the new era of universal floating exchanges (previous to that time the only “floating exchanges” involved some exotic currencies in Latin America), the fledgling management consultant suddenly found himself to be at the center of the financial world’s attention. The techniques that he had developed for those marginal Latin American currencies were overnight the only systematic research which could be used to deal with all of the major currencies of the world. A major US bank negotiated exclusive rights to his approach which required that he begin another career. While at the Central Bank in Belgium (National Bank of Belgium) he implemented the convergence mechanism (ECU) to the single European currency system. During that period, he also served as President of Belgium’s Electronic Payment System. His consultant experience in monetary aspects on four continents ranges from multinational corporations to developing countries. Source: Wikipedia October 2017. Bernard plays a key role assisting Phireon with the white paper, the architecture of the currency, the governance, and commons structure of Phireon. Alex Lightman is an entrepreneur, speaker, and futurist with over two million words in print about the future. 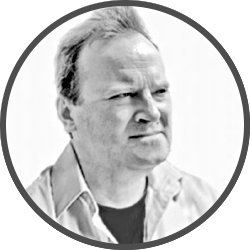 He is chief strategist for Passport Cities $300 M+ ICO and an advisor to several current and near future ICOs; including, Guardian Circle’s Guardium $30 M+ ICO, Phireon Global Partners $60 M+ ICO, and to the $100 M+ Science Incubator ICO. Lightman is the recipient of four global technology awards, including the first Economist magazine Reader’s Award, and has written national innovation plans and technology transition plans for the US and Mexican governments and NATO. He has been one of the most highly rated mentors for Founder Institute in the world (“Global 100”) and qualified as a director, after six 16 week startup creation programs, each of which launched over a dozen companies. He is an MIT graduate and attended graduate school at Harvard’s School of Government, and is the author of the first book on 4G and co-author of 2016 Amazon best-seller in seven categories, Augmented: Life in the Smart Lane. 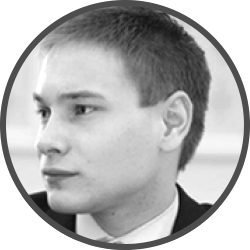 Alex also plays a key role assisting Phireon with the white paper, the architecture of the currency, the governance, and commons structure of Phireon. Founder & Managing Partner at Network Society Ventures, Advisor to the Board. David is an experiences investor into disruptive technology companies, driven by the 8 Pillars of Change: Energy, Manufacturing, Food, Health, Learning, Finance, Security, Policymaking. His expertise lies in the mechanics of marketing, sales development, localization and globalization. the global technology landscape, applying cycles of accelerating technological change to the needs of high-growth organizations. David was also one of the key players in the Blockchain space’s 1st ICOs. 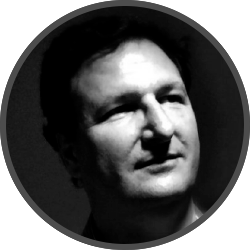 Considered by many to be the godfather of ICOs and blockchain token architecture, David is one of the key figures in the Token Sale world with the experience and business relationships to facilitate Token Sale Events of the highest calibre. He also has a deep understanding of the needs and mechanics of both product marketing, sales development, localization, and globalization. Leading teams excel under the pressures of competitive business conditions. 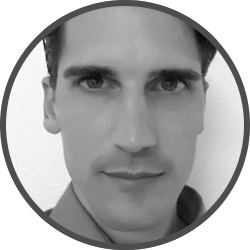 David is a key advisor on the Phireon board helping to define the structure and strategy in taking Phireon to its token share. 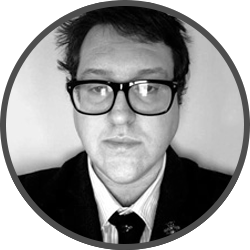 Mr. Nichele has over 15 years of experience Founding high performing technology startups in the sectors of Mobile, Virtual and Augmented Reality, Platform Development, Marketing, eCommerce, Gaming, Telecom and Finance. Currently he is the Founder and Chairman of Gravity Accelerator, a Benefit Corp that incubates an extensive portfolio of blockchain technology solutions, professional management services, access to capital and ICO opportunities. Previously from 2010 to 2012 he was the Chief Executive Officer of Wonton Media Inc, a local digital advertising firm in Vancouver Canada where he Co-Founded, drove to profitability and then sold to private equity along his co-founder Ernst and Young’s Tech Entrepreneur of the Year Elton Pereira. Mr. Nichele founded Macro Media Marketing in 2007, a media buying and deployment firm that has delivered over 10 billion impressions on proprietary software in the digital advertising space. Mr. Nichele acted as Chief Executive Officer for Zooplr, Inc. from 2012 to 2014 an innovative Mobile Learning Platform which he saw through fundraising and subsequent exit. Recently he acted as Senior Vice President of Product at Mobile Inc., which is developing an emerging and disruptive platform for the collaborative economy sector. Mr. Nichele began his technology career at age 20 when he became the youngest Executive Director in the history of Excel Telecom, a global telecom provider. In this capacity he was awarded the prestigious Entrepreneur of the Year award. Mr. Nichele’s experience and studies include Technology, Entrepreneurship, Leadership, Finance and Real Estate at Sauder School of Business. Mr. Nichele is a graduate from Stanford’s Executive Business Mergers & Acquisition Program. 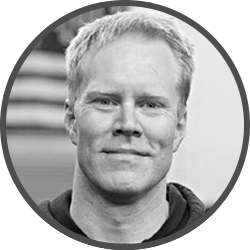 Mr. Johnen boasts a robust background with some of the world’s largest technology firms as a Systems Engineer, Entrepreneur, and Project Manager. Commercial industry experience across staff, product, program, project and P&L management, predominately in small and mid-range systems including open systems standards such as UNIX (all distributions) in addition to WinTel products and systems. Development experience includes client/ server, databases, transaction processing, UNIX, security, real-time products and neural net languages. Proficiency in project management, program management, product marketing, business development, capacity management planning, performance analysis, workload analysis, kernel performance analysis, IT management, business value chains. Past clients include, but are not limited to, Sun Microsystems, HP, and Visa. Currently he is the founder of Ocean Systems Inc. and has spent the last three years working alongside the Apache Nation across a broad range of technological projects. Joseph has a background in chemical and biomolecular engineering, with a full-spectrum scientific aptitude. He started coding for process simulations and systems modeling. He has since cloned blockchains and implemented them in both sandbox and live processes. His proficiency in the blockchain and full-stack space is complemented by his rigorous background and passion for automation. His interests include graphene, physics, economics, and agriculture. Demetri leads strategy, performance, implementation and corporate governance of Avant Global. Demetri is highly regarded in the global business community for his proven track record in building successful relationships. By establishing value, commonalities and rapport, Demetri creates an atmosphere of trust that enables relationships to flourish. Demetri performs a vital role in helping to succinctly negotiate and close deals between parties. Since founding Avant Global, Demetri and his partners have been involved in forging relationships, creating opportunities, and generating over $15 billion in value creation across a range of projects and businesses. He has been the catalyst for successfully originating, co-founding, or seeding over 50 new companies, across a variety of industries ranging from medical devices to Internet advertising. 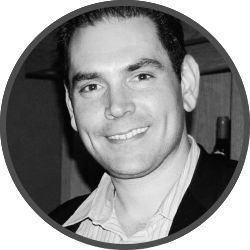 Demetri is a cofounder of Owl BioMedical (recently acquired by German multinational Miltenyi Biotec) and on the advisory boards of Juggle Labs, Sword Diagnostics, bSpot, TGZ Capital, and Ripple.com. In addition to his business interests, Demetri’s has raised tens of millions of dollars for charity working with numerous multinational foundations, charities and non-government organizations including the Clinton Foundation Global Initiative, Promitos, the Santa Barbara Historical Society, 1199 Foundation, Lotus Land Foundation, American Lung Association, Muscular Dystrophy Foundation, Westmont College, CALM, Unity Shop, United Way, Habitat for Humanity, Marymount School, Santa Barbara Symphony, American Hellenic Institute, and the Ronald Reagan Presidential Foundation. He is a member of the National Hellenic Society, YPO-WPO International, Milken Institute Young Leaders Circle, Tiger 21, L100, the Harvard Business School Alumni Organization, and the California Republican Advisory Council. He is also serving as an Engagement Officer on the Executive Committee of the Global Diplomacy Network. In 2016 in recognition of his achievements and humanitarian actions, Demetri was inducted into the Order of Merit of Savoy, an order of knighthood bestowed by the Royal House of Savoy, the last Kings of Italy. Demetri was also the recipient of the 2010 Gusi Peace Prize for achievements, ideals and values. He is an honorary Naval Aviator, has been recognized as one of the ‘Top 40 business leaders under 40’ by the Pacific Coast Business Times, and was named as one of ‘Greek America’s Forty Under 40 Class of 2014.’ He was also awarded the 2003 National Leadership Award and the 2003 Business Man of the Year Award by the National Republican Congressional Committee. 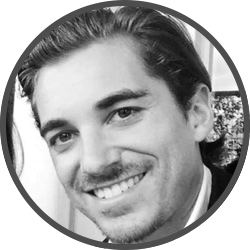 Demetri graduated from Westmont College, studied at the American University in Washington, D.C. and Georgetown University ‘s American Government and Foreign Policy program, as well as being a graduate of the Exponential Technologies Executive Program at Singularity University. He is also an alumni of Harvard Business School, where he graduated from the three year Owner/President Management program (OPM) and is a current member of the Harvard Business School Association of Southern California. James has a long history in corporate security. He has developing an automated Threat Intelligence platform codename: NightVision. His Specialties are: Penetration Testing, Threat Analysis, Vulnerability Management, Zero Day Exploit Discovery & Development, UNIX/Linux Systems Security and Administration. James has also custom built a blockchain designed to stop DDOS attacks from scratch. Are you an investor looking for information on PGP's upcoming PHIRE token sale? Sign up to get updates. Thank you for your interest in the Phire token sale. You will receive a follow-up email with details. © 2018 Phireon Global Partners. All Rights Reserved.